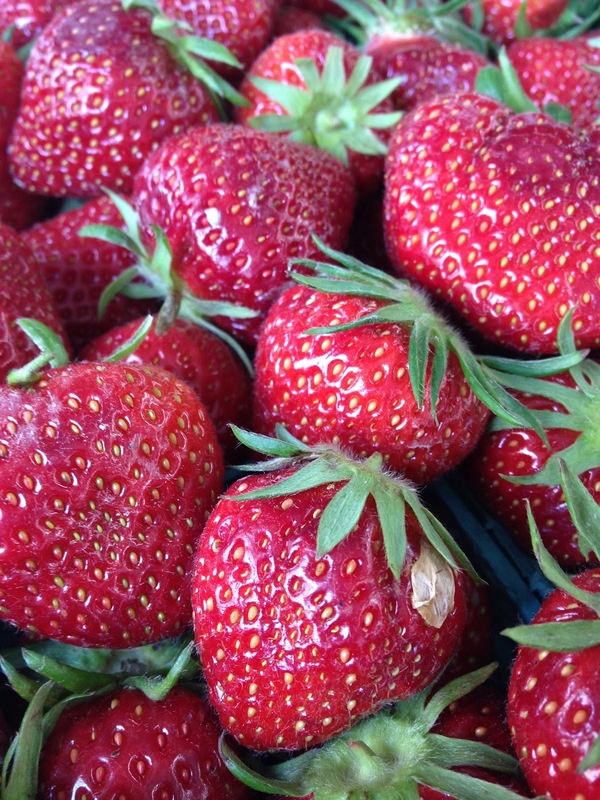 Earlier this week when I was at the farm stand I bought a flat of strawberries. They were so red, so beautiful I wanted to just sit in the sun and slowly eat berry after delicious berry. Sometimes serendipity comes into play though. As I put the strawberries on the kitchen island I saw the mason jars that I have been using for pink lemonade this summer. I had recent caught Martha Stewart on The Today Show preparing a mason jar picnic and that inspired me. I ran to the market for poundcake and heavy cream to make strawberry shortcake to go. It was easy and the results were so pretty that I delivered some to one of my girlfriends who needed a little happy. Rinse and dry strawberries. Cut off stems and slice strawberries. In a small bowl mix cut strawberries with 1 tablespoon of confectioner's sugar. (You don't need to add any water.) Let sit while you prepare the whipped cream. Using your electric mixer, blend the whipping cream, 1 tablespoon of confectioner's sugar, vanilla and cinnamon until the cream forms peaks. This will take several minutes. Set aside. Slice poundcake into 8 slices. Starting with the poundcake, layer the cake, a few tablespoons of strawberries then whipped cream. Add one more layer of each until you reach the top of the mason jar. 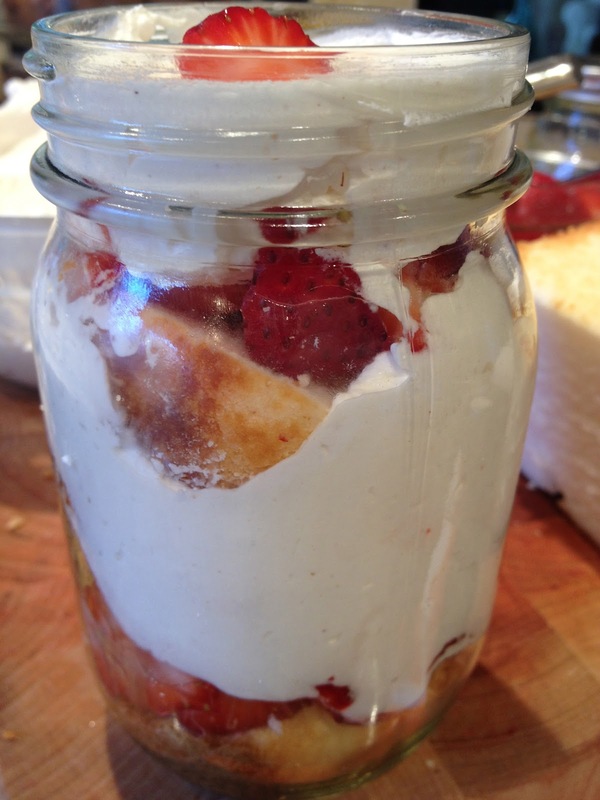 Top off with one strawberry slice and close jar with mason lid. 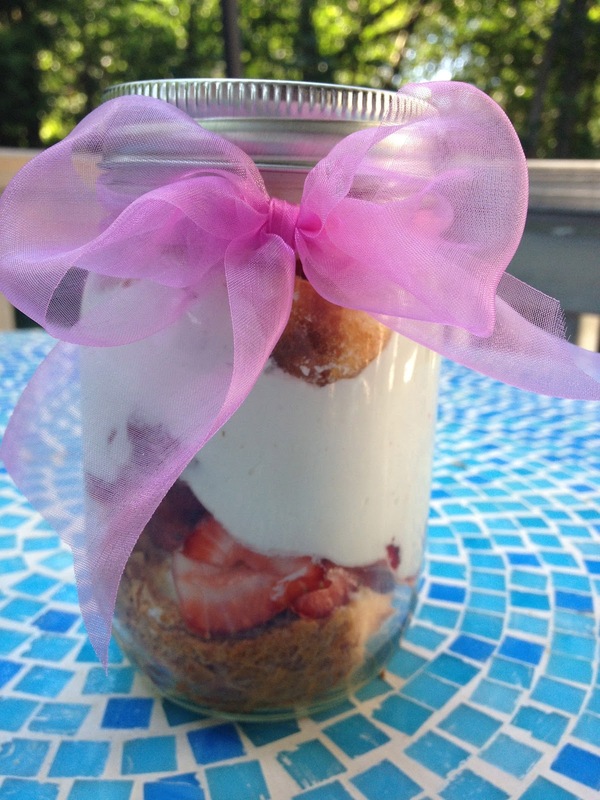 It tastes like summer in a jar. Enjoy!